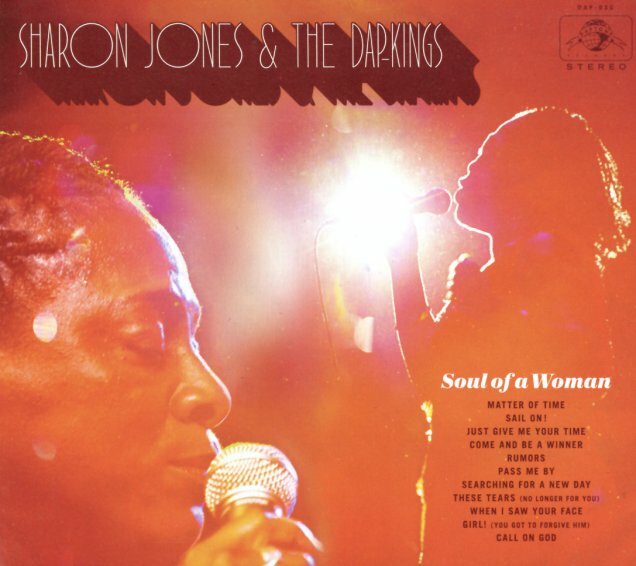 The fantastic final album from Sharon Jones – a wonderfully deep talent who was taken from us all too soon! The set's maybe the ultimate setting for Sharon's incredible voice – as it features both her longtime core combo, the Dap-Kings – as well as additional backings from the Bushwick Philharmonic – a small ensemble of strings who really help elevate the music to classic status! If you're worried that the strings might soften the sound, the very first note of the record will put your mind at rest – as will the heavy drums that mark just about every track, and keep things hard and funky throughout. If anyone ever doubted that the Daptone label was our modern equivalent of Stax Records or Atlantic, this will certainly be the set to change their mind – and will also stand forever as a bittersweet reminder of all the greatness that Sharon Jones gave us over the years. Titles include "Searching For A New Day", "Rumors", "Matter Of Time", "Sail On", "Just Give Me Your Time", "Come & Be A Winner", "Call On God", and "These Tears". © 1996-2019, Dusty Groove, Inc.